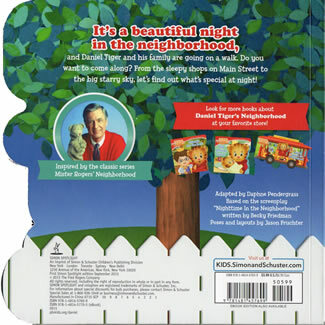 It's a beautiful night in the neighborhood, and Daniel Tiger and his family are going on a walk. Do you want to come along? From the sleepy shops on Main Street to the big starry sky, let's find out what's special at night! This book is based on the storyline from Episode 212a. 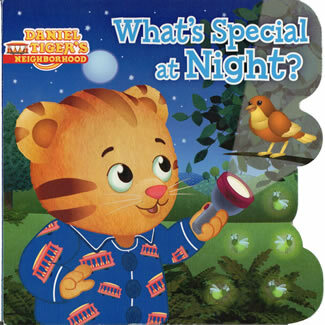 Unlike the red spine on other Daniel Tiger books, the spine of this book is dark blue matching the sky on the covers.